Rope Storage Basket, Sage & Ivory | Great Little Trading Co. 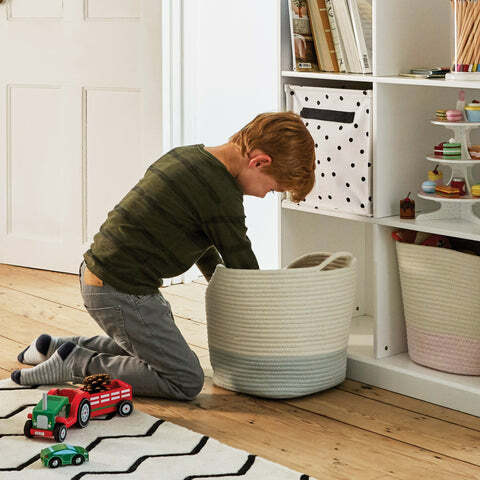 Being made from cotton rope, this lovely storage basket holds its shape well and it's really tough - but we love that it feels soft on children's hands. This Sage & Ivory colour is perfect for family spaces and looks amazing teamed up with our Woodland range. 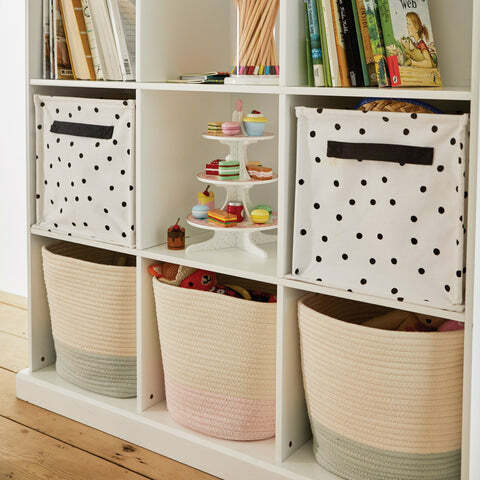 They're the perfect fit for our Abbeville Cube Storage and our Northcote Storage Furniture, but you can use them literally anywhere - on shelves, in bathrooms, bedrooms... ANYWHERE. Team up this colour with the Woodland Rug and Blackout Curtains.